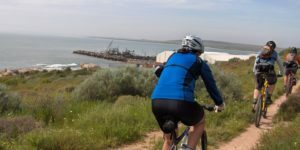 Langebaan Cape West Coast with adventure activities including mountain bike trails, kitesurfing, windsurfing, kayaking, sailing, yachting, horse riding and hiking. This resort town is the ideal place for active sports holidays and is fast becoming a well known adventure sport destination. The warm lagoon, clean air, prevailing winds, year round mild temperatures and low rainfall has something to do year round. Langebaan accommodation and west coast accommodation options are plentiful. Langebaan is a resort town on the Langebaan lagoon, which adjoins Saldanha Bay, an ideal gateway to the West Coast region. It is located approximately 70 mins drive from Cape Town heading north on the R27. The trip north from Cape Town passes west cost towns like Yzerfontein and Darling on the way to Langebaan. The prevailing winds have made it a nationally and internationally famous windsurfing and kitesurfing destination. Kayaking in the Lagoon has also become a popular activity and offers a scenic and serene paddling experience. Horse riding on the west coast is also a popular activity with many locations and options to choose from. Hobie-cat races are held regularly and sailing is a favorite activity of many visitors and residents. The local tourism office has a list of Langebaan adventure activities. The Cape Sports Centre caters for active sports holidays and the Wind Stone Adventure Centre is a great adventure sports destination. Langebaan borders the West Coast National Park and is ideally situated to explore this internationally significant wetland area. The West Coast National Park was proclaimed in 1985 to protect the fragile ecosystem of the Langebaan Lagoon. The park is home to thousands of birds many of which use the lagoon as their migration destination from the northern hemisphere. 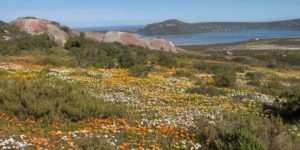 In spring the Postberg section of the park is opened to reveal a magnificent display of flowers and bountiful game. At Geelbek the old farmstead has been restored into a favorite restaurant and tourist attraction. 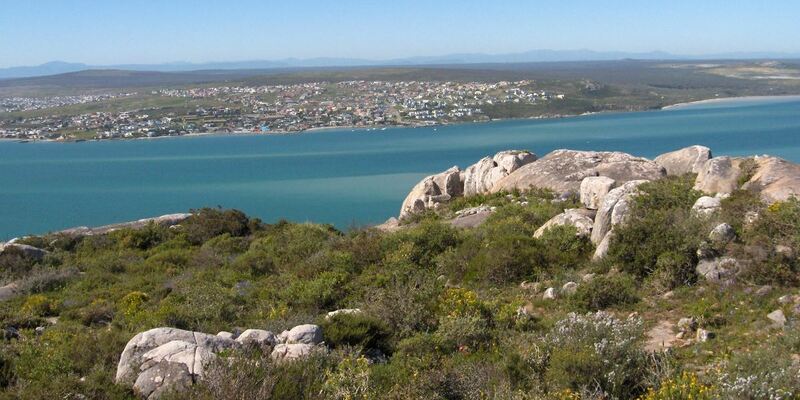 The Saldanha Bay area is also well known for the world famous West Coast Fossil Park. This national heritage site contains one of the largest and richest collections of mammal fossils in the world. To the north of Langebaan lies the unspoiled west coast. The stark contrast of the dry arid land and the cool blue waters of the Atlantic make the west coast a truly unique destination. Dotted along this coast line are the well known west coast villages Paternoster, St Helena Bay, and Elands Bay. Head inland to find mountains, Piketberg, Swartberg and Cederberg, with quaint towns like Aurora, Koringberg and Redelinghuis. Follow the N7 up from Malmsbury to Vredendal you will pass Citrusdal and Clanwilliam into the Cederberg. Langebaan as well as the entire west coast area is very well known for its seafood and abundance of fish. There are a healthy selection of excellent dining venues in Langebaan. Enjoy cuisine from traditional west coast seafood, to traditional boerekos to fine seafood and continental European. 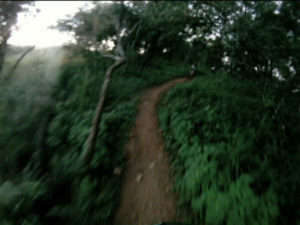 From Langebaan there are a variety of MTB trails on the cape west coast to be explored, from beginner up to advanced.